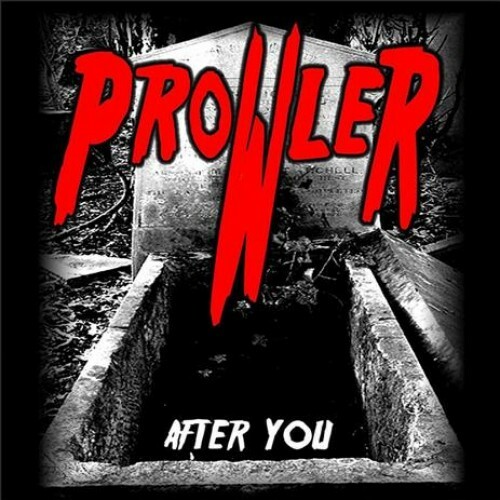 In my relentless search for new and interesting bands and therefore reading countless of reviews on a weekly basis, my interest was triggered by a review of a young thrash metal band named Prowler. I visited the site of their record label (Slaney Records) and wondered how I could pay for the album. The friendly people at Slaney (in this matter Kieran) were even so friendly to send me a copy for review! I’m a big thrash metal fanatic, but unfortunately the new breed of thrash metal bands haven’t really convinced me to step away from the old classics. Of course on a very rare occassion there’s still a young band that can convince me, but it doesn’t happen very often. Luckily Prowler know how to be convincing! What we have got here is a enthusiastic thrash metal band, which plays thrash in a more melodic fashion (read early Metallica and early Annihilator) and with a enthusiasm for old horror classics. Their melodic thrash is larded with sound bites of movies like Nightmare On Elm Street, Helloween and Friday the 13th. This makes the songs really recognizable and therefore they find their way to your brain easily. The thrash on itself is well executed, but not really remarkable if we are looking for an original take on the genre. Luckily for them they play their music with so much enthusiasm and have an excellent singer in their ranks (think a young James Hetfield), with as a result that they outdo their peers by a wide margin. They play thrash like I like to hear it, with quite some tempo changes, well written and recognizable songs and a singer that gives the songs an extra oomph. Just a fun thrash metal album that will definitely finds it’s way to my end of the year list. Highly recommended!